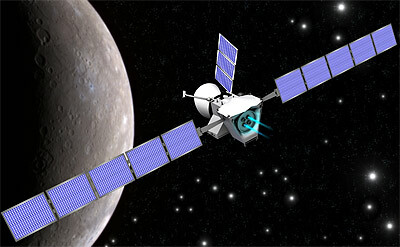 BepiColombo, an ESA mission in cooperation with Japan, will explore Mercury, the planet closest to the Sun. Europe's space scientists have identified the mission as one of the most challenging long-term planetary projects, largely because Mercury's orbit so close to the Sun makes the planet difficult for a spacecraft to reach and difficult to observe from a distance. Scientists want to study Mercury because of the valuable clues it will provide in understanding how planets form. The mission will consist of two separate spacecraft that will orbit the planet. 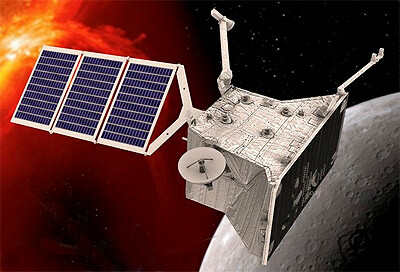 ESA is building one of the main spacecraft, the Mercury Planetary Orbiter (MPO), and the Japanese space agency ISAS/JAXA will contribute the other, the Mercury Magnetospheric Orbiter (MMO). The MPO will study the surface and internal composition of the planet, and the MMO will study Mercury's magnetosphere, that is the region of space around the planet that is dominated by its magnetic field. With two spacecraft, BepiColombo is a large and costly mission, one of the 'cornerstones' in ESA's long-term science programme. The mission presents enormous, but exciting challenges. All of ESA's previous inter-planetary missions have been to relatively cold parts of the Solar System. BepiColombo will be the Agency's first experience of sending spacecraft to 'hot' regions. The journey from Earth to Mercury will also be a first. The spacecraft must brake against the Sun's gravity, which increases with proximity to the Sun, rather than accelerate away from it, as is the case with journeys to the outer Solar System. BepiColombo will accomplish this by making clever use of the gravity of the Moon, Venus and Mercury itself and by using solar electric propulsion (SEP). This innovative combination of low thrust space propulsion and gravity assist will be demonstrated by ESA's technology mission, SMART-1. When approaching Mercury, the spacecraft will use the planet's gravity plus a conventional rocket engine to insert itself into a polar orbit. In orbit, the two mercury orbiters will separate from the cruise stage and conduct their observations from orbit individually for at least one Earth year. Originally planned for a Soyuz-ST-B Fregat-MT launch from Kourou, it was found in 2008, that the BepiColombo mission has been grown so much in weight, that it needs an Ariane-5ECA launcher. For this the mission was close to be cancelled, but ESA voted to keep it. Launch was planned for April 2018, but after a major electrical problem was detected during preparations for a thermal test of the Mercury Transfer Module (MTM), one of the major spacecraft elements of BepiColombo, the mission was delayed to October 2018. The six-month postponement will have no impact on the science return of the mission. However, the new flight time to Mercury will be 7.2 years, and BepiColombo will now arrive in December 2025, one year later than previously anticipated. The seven-year cruise to the innermost planet of our Solar System will include 9 flybys of Earth, Venus and Mercury.